2. Burglary in the first degree is a class A felony. A person "ENTERS OR REMAINS UNLAWFULLY" in or upon premises when he is not then licensed, invited, or otherwise privileged to so enter or remain. 1. A person is guilty of burglary in the second degree if, with intent to commit a crime against a person or property therein, he enters or remains unlawfully in a building other than a vehicle or a dwelling. 2. Burglary in the second degree is a class B felony. 1. A person is guilty of residential burglary if, with intent to commit a crime against a person or property therein, the person enters or remains unlawfully in a dwelling other than a vehicle. 2. Residential burglary is a class B felony. 1. 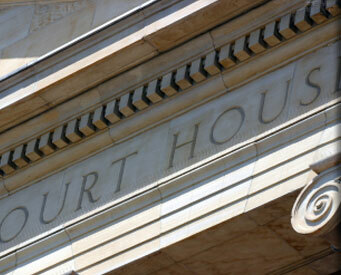 A person is guilty of criminal trespass in the first degree if he knowingly enters or remains unlawfully in a building. 2. Criminal trespass in the first degree is a gross misdemeanor. The maximum penalty for Criminal Trespass in the First Degree is 365 days in jail and a $5000 fine. The sentencing judge is not required to impose a minimum sentence. 1. A person is guilty of criminal trespass in the second degree if he knowingly enters or remains unlawfully in or upon premises of another under circumstances not constituting criminal trespass in the first degree. 2. Criminal trespass in the second degree is a misdemeanor. The maximum penalty for Criminal Trespass in the Second Degree is 90 days in jail and a $1000 fine. The sentencing judge is not required to impose a minimum sentence.